There are strong reasons to believe that China’s rise will indeed be a peaceful one. In recent years, especially since the beginning of this decade, the term “Thucydides trap” (between China as a rising power and U.S. as an established one) has gained increasing currency among policymakers, advisers, and China experts in Western research institutes and think tanks. The fear is that as its power increases, China will eventually choose to challenge or even overturn the existing international order that has contributed so much to its rapid rise, making a war between China and the U.S. likely. These worries and concerns are not without basis, and nor do they represent a bias against China, despite what some may claim. After all, the long history of modern international relations since the Treaty of Westphalia is, in a way, the history of the rise and fall of great powers, nearly always accompanied by bloody wars. Peaceful transitions of power or hegemony have been far and few between; even the example of Britain and U.S. was not as peaceful as is often claimed. In the case of China, the prospect of peaceful transition looks particularly dim. It is a country that is as politically, culturally and institutionally different from the U.S. as the U.S. and Britain were similar. In so many respects, China seems to be America’s opposite. If there is anything they do share, it is the aspiration to be the world’s preeminent power. Nor does China’s behavior in recent years help much. 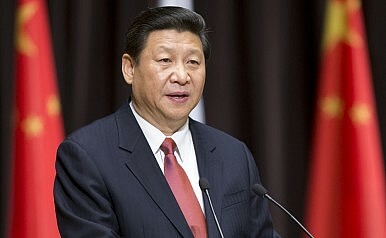 It is viewed as increasingly assertive or even aggressive in the way it defines its core interests and in its approaches to the East and South China Seas disputes. As its power grows, China is becoming more outspoken about its interests and more prepared to defend them forcefully. Still, for all the rationales for the Thucydides trap argument, I would offer at least three reasons for optimism. First, the world today is not what it was three centuries ago, or even sixty years ago. Before the United Nations was founded in the wake of World War II, and the principle of sovereignty was firmly established in the UN Charter, the world was a colonial system that operated based on the law of the jungle: The strong get what they want and the weak do as they are told. In that world, the strong became stronger and richer by conquering, invading and annexing the weak, and were only stopped or defeated by an even stronger power or by a power coalition, as in the case of France under Napoleon, Germany under William II and then Hitler, and Imperial Japan. It was also a world where sovereignty meant the capacity to defend from conquest and to conquer others. Following the Second World War, that world gradually gave way to a post-colonial system, where the legal status of sovereignty applies to all, large or small, strong or weak. This is a world in which states cannot hope to become strong or rich by means of conquest or force. The only path to prosperity and greatness is through internal development and external trade. The peaceful postwar integration and reemergence of Germany and Japan, and the rise of China and India are powerful examples. Second, China is the greatest beneficiary of the existing international system, which the U.S. architected and helped to create. Under the colonial system, China suffered a century of humiliation, in which it was mocked, humiliated, and ruthlessly conquered. Only in the post-colonial system has China for the first time in a century really stood up and then become strong by reforming itself and opening to the outside world. Yes, the current international system leaves much to be desired, but it is a system within which China has benefited greatly. Beijing has every reason to join with the international community in supporting and reform it. Third, China has clearly signaled that it intends to develop peacefully and that it does not seek to subvert or overthrow the existing international order. From at least 1978 when it opened up, China has chosen to join the world and integrate itself into the international system. Since the beginning of this century, China has published two “peaceful development” white papers that make its intentions known to the international community. More recently, Beijing has proposed a new type of great power relations with the U.S., to reassure Washington of China’s commitment to peaceful development and constructive ties. Needless to say, strategic distrust between U.S. and China remains, and is indeed growing. Washington worries about China’s rising power, against which it has hedged by pivoting to Asia. For its part, Beijing is unsure of Washington’s long-term intentions and its policy towards China’s rise. Yet given the huge differences between China and U.S., and the turbulent power flux in Asia today, none of this is very surprising. And for all the fuss made over the Thucydides trap, never in history has a rising power and an established one had such intensive economic interaction and interdependence, so many official bilateral institutions, and so much people-to-people engagement. And if all of these reasons for optimism are not convincing enough, the Ukraine crisis can serve as a wakeup call: It is Russia, not China, that has pushed aside international law on sovereignty and territorial integrity. And China has distanced itself from Russia, a close partner with whom it has voted together in past several international issues, on the very grounds of independence, sovereignty, and territorial integrity. China will not risk overturning its long-held principle of non-interference and sovereignty for the sake of supporting its strategic partner, let alone challenging or overturning the international order itself. There is no Thucydides trap between China and the U.S., even though differences or strategic trust deficits may persist. Wei Zongyou, is Professor and Vice Dean of the Institute of International and Diplomatic Affairs, Shanghai International Studies University, Shanghai, China. His main research interests cover Sino-U.S. relations, American foreign policy, humanitarian intervention and R2P. The views expressed here are his own. How to Avoid the Thucydides Trap: The Missing PieceChina's Foreign Minister Reflects on 2017 in Chinese Foreign PolicyThe 3 Known Unknowns of Xi Jinping’s ChinaChina Reacts Angrily to Latest US South China Sea Freedom of Navigation OperationWhy Did Britain's Chancellor Visit Xinjiang?